Hard to believe that we are heading into the December holidays, the year is flying by and there are so many wonderful events to share and remember. As a K-12 school, we have enjoyed some magnificent venues in the last few weeks, a remarkable feat with 800+ students on campus. The FAU Men’s Basketball Season Opener was truly amazing! The student enthusiasm was something to behold, as the children shook the house and supported the Owls to a decisive victory. Then, just before Thanksgiving, we sat as a school and shared the beautiful tradition of the Thanksgiving Feast. The day was perfect, the K-5 students performed beautifully under the direction of Mrs. Schram, Ms. Francani and Mrs. Akers did a wonderful job with their middle school students. The PTO and Gun Club were brilliant with planning, decorations, and food. Everyone is truly grateful for the PTO’s commitment and dedication to our community. We also announced our Teacher of the Year (TOY) and School Related Employee (SRE) of the Year Finalists. The TOY finalists are Rachel Marbach (3rd Grade), Jenny O’Sullivan (K-5 STEAM), and Chayane Oliveira (6th-8th Grade Science & Social Studies). The SRE finalists are Eliane Mattos (Media Center Paraprofessional), Iris Bernstein (Senior Secretary), and Tanya Gibbons (ESE Paraprofessional). District winners will be announced the Friday before break. Throughout the month, we have been honored with visits by local businesses, entrepreneurs, and state officials as we pursue our goal of a new facility. Our fall athletes have truly been amazing, representing us well with championships and even a few students going to nationals. #GoOWLS! Now, as we look to December and the coming year, there are many exciting events, opportunities, and traditions on the horizon. 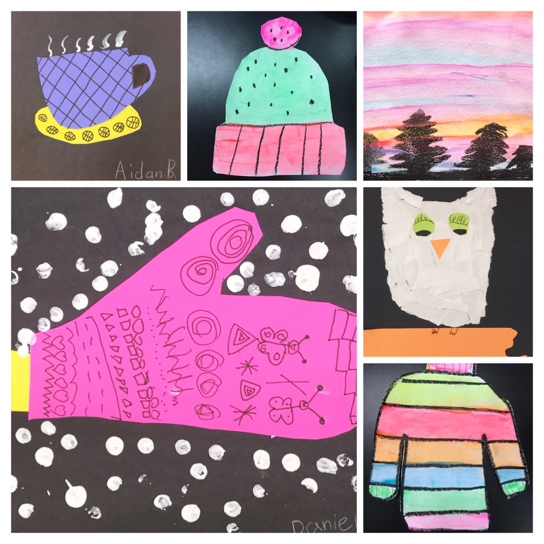 Tonight, we host our Winter Wonderland Art Show and Family Movie event. Mrs. O’Sullivan and our PTO have worked tirelessly to offer another whole school community event. I hope to see many of you there. We will continue to host visitors from the state, as well as local businesses, in order to showcase the talent of our students. High school students will mark the end of the year with End of Course exams and finals. Then in January, they will enjoy the Winter Formal dance. Elementary and middle school students are looking forward to winter parties, field trips, and the end of the quarter. 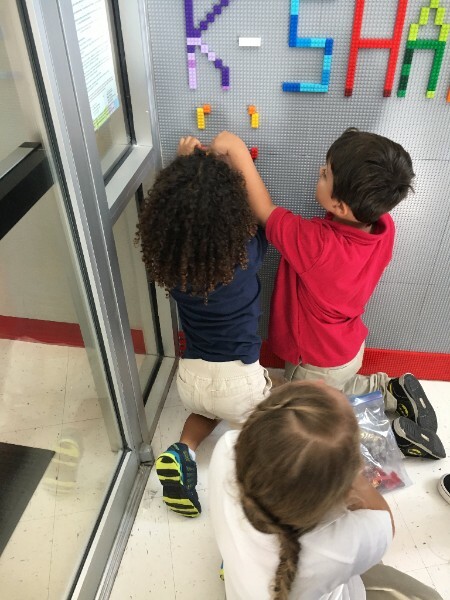 In a K-12 school, there is always something going on in the building. No doubt this is a busy place, and I am fortunate to be the principal/director of such a dynamic and diverse campus. The students, faculty, staff, parents, and FAU community are incredibly supportive, and I am very grateful for everything all of you do! Happy holidays! I wish you only the best in 2018! Wow! What an awesome way to spend the day! 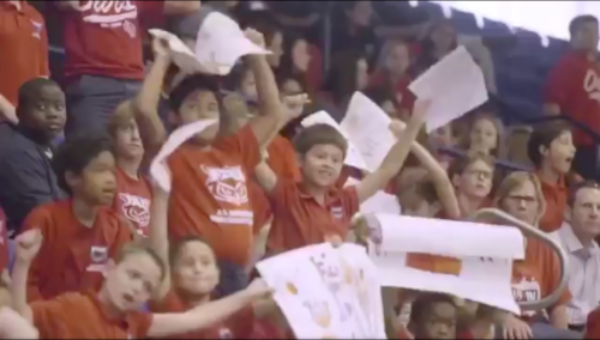 On Thursday, November 16, 2017 the entire school rocked the FAU Field House. Logistically, transportation was tricky, but once there, the day was loads of fun. The event ran with scripted precision and we received a lot of love from the OWL’s team with a decisive 91-59 victory! The faculty game was hysterical and the student activities priceless. From Mrs. Schram’s beautiful rendition of the National Anthem to Ms. Francani’s lively dancers, every student had a lot of fun. Thank you for all of your support with this event. Click here to view a short video of the season opener. 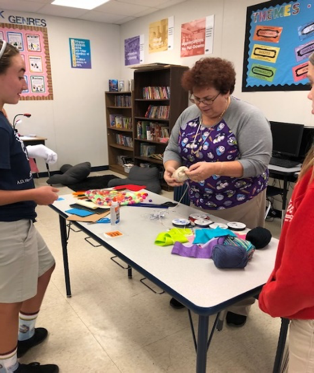 Mrs. Akers gave her theatre class an opportunity to create sock puppets, and they had a blast. 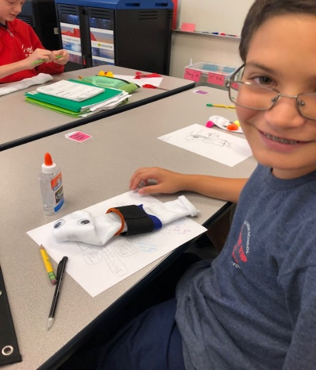 The students will use their puppet in a script that they wrote during class. With a focus on writer’s craft, the student had the opportunity to practice character development with their script writing. 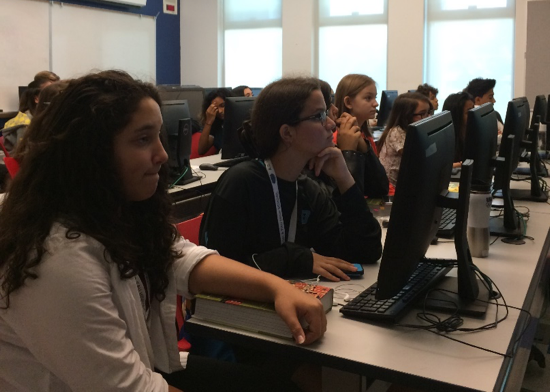 They were also able to use Google docs to write the script as a live document. Just a reminder to be courteous and careful when parking your vehicle on campus. Parents, staff, and students, please DO NOT PARK in the Karen Slattery spaces. Those spaces are reserved for the parents and staff of the Karen Slattery ERCCD. There is additional campus parking in the grassy lot behind the middle school building. As always, all cars in red spaces must have the appropriate vehicle tag. The Annual Week of Giving runs each morning from December 4-8 in the circles. Please send a new, unwrapped toy to benefit a child in need. This year the toys will be shared with Boca Helping Hands, Toys for Tots, The Children’s, and the Boca Police. Your support can make this a happy holiday for a child! The second payment for the 2017-2018 Student Activity Fees are due today, December 1, 2017. Please make all outstanding payments here today. In addition, please review the revised 2018-2019 Student Activity Fee Policy (approved by the FAUS School Advisory Body on August 2, 2017). The first half of the 2018-2019 Activity Fee is due on March 15, 2018, and the balance is due on July 15, 2018. All payments must be paid in full prior to the start of the 2018-2019 school year. 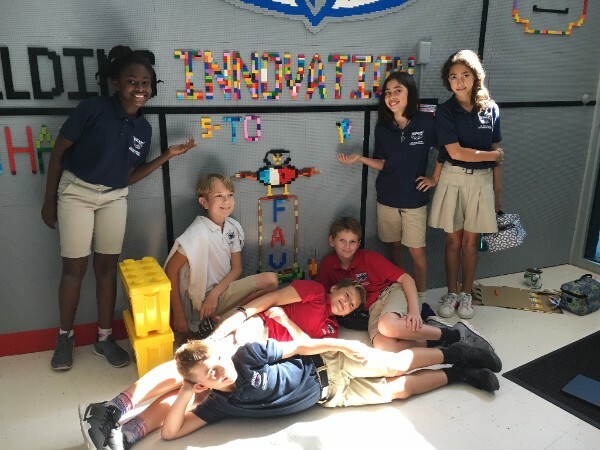 Did you know our school is back in Governor Scott's Budget!? Did you know A.D. Henderson University School & FAU High School are back in Governor Scott’s budget! 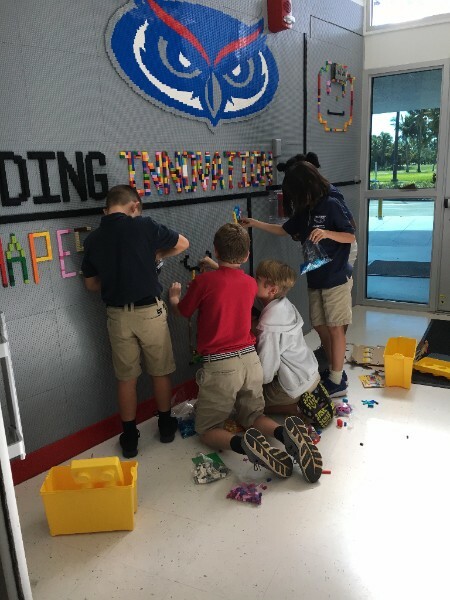 The new budget set forward by Governor Scott contains a dollar for dollar match of $7.875 million in construction dollars for A.D. Henderson & FAU High School! However, we must receive support from the House and Senate to secure these funds. Florida’s next legislative session begins in January and your participation will be critical to encouraging legislative support. The amount of your gift is not as important as your participation - $1, $5, every gift counts! Our goal is to have 100% parent, faculty, and student participation as we continue to seek legislative support. Your contributions will also inspire private donors, foundations, and corporations to join in this important initiative. Every gift counts, no matter the amount. We thank every family for making a gift to A.D. Henderson & FAU High School at any level. Thank you to the families that have already participated. We appreciate your continued support. Let’s Build This Together! To make a gift, please visit us here. The STEAM Lab has been transformed into a Winter Wonderland. All students in grades K-5 have completed blacklight art for our show. Several of our artists have also created projects for Owl Artists Ignite. Join us at 6pm tonight and stay for the outdoor movie afterwards. 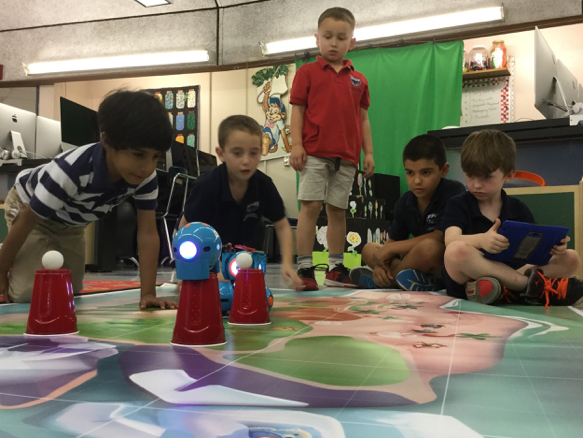 To prepare for Computer Science Week and the Hour of Code, we will be coding and programming robots in the STEAM Lab during December. I will be sending home resources and links through ClassDojo for coding projects that you can try at home. The first Family Science is due on Monday, December 18. Below are the links to the Family Science for each grade. The next Family STEAM Night is January 26, 2018. This event will have new, exciting hands on activities for the whole family to enjoy. Thank you to our outstanding PTO for sponsoring this event! The next Family STEAM Night is January 26, 2018. This event will have new, exciting hands on activities for the whole family to enjoy. Thank you to our outstanding PTO for sponsoring this event!. The students are in the homestretch of the semester as they wrap up final projects, study for finals, and prepare for holiday break. The 9th grade Exploring Research classes have completed their observational data collection and they are preparing their first poster presentations as the final portion of the project. Project topics range from butterfly observation to traffic patterns. As we wrap up this semester, it is important to look back at the amazing achievements of our students. 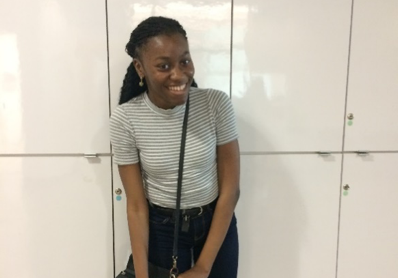 Lotoya Willis, a 9th grade student, is being honored in Sweden at the Molecular Frontiers Symposium for asking one of the BEST scientific questions asked by young people across the globe. 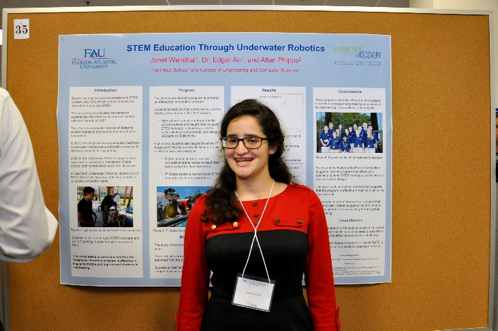 Most of the upper-classmen research students have submitted, and we anticipate some will be awarded, their first FAU Undergraduate Research Grant. Lastly, one of the most prestigious accomplishments of our young research students is publication. This semester, three of our upper-classmen – Janet Weinthal (FAUHS Alumni), Sydney Yu (11th grade), and Sara Geevarughese (11th grade) – had their research published or accepted into real academic journals. We congratulate all of our students for high achievements this semester and hope they keep up the work next semester! Girls Soccer (High School) - Currently 3-1, our Girls High School Soccer team is 2nd in the District, and during a trip to Gainesville, our Owls ‘mercy ruled’ 2 different teams, for back to back wins. Girls Basketball (Middle School) - The Girls Middle School Varsity and Junior Varsity Basketball Teams, both had double digit wins this week. Boys Soccer - (Middle School) - Both Varsity and Junior Varsity Boys Middle School Soccer Teams celebrated wins upon returning from Thanksgiving Break. The Boys Middle School Varsity Soccer Team is currently 5-0 and sitting in 1st place in the division. Please visit the athletics webpage for Winter sports and all of your stats and information. A.D. Henderson Holiday Basketball Mini-Plan - Pick 4 games of the upcoming FAU Men's Basketball games between Dec. 2 and Jan. 18 in a Mini-Plan starting at $20. Please visit the PTO website for more information. Special Deal on Volleyball – see flyer in Friday Folder! 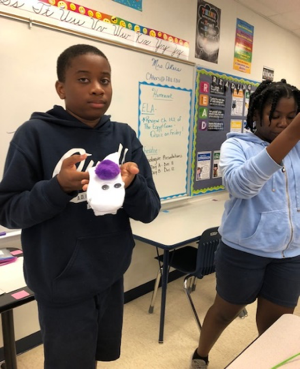 A.D. Henderson & FAU High School is a national exemplary model for school systems and teacher preparation programs improving education for diverse student populations through innovative, faculty-developed research and curriculum. The school has a three-fold mission of (1) being a demonstration site for teacher education; (2) developing curricula; (3) conducting research. 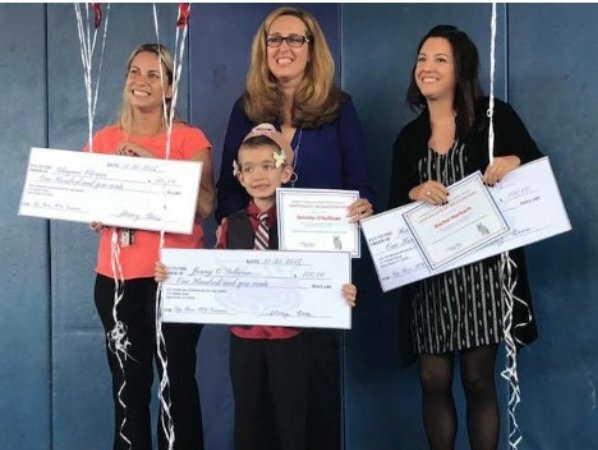 A.D. Henderson University School & FAU High School is an Equal Opportunity Employer and a Title I Targeted Assistance Program. Copyright © 2017 A.D. Henderson University School / FAU High School, All rights reserved.